The At2005USB Also Offers A Quality Analog-to-Digital Converter For Excellent Fidelity, And A Headphone Output With Level Control For Monitoring. Its Cardioid Polar Pattern Reduces Pickup Of Unwanted Sounds From The Sides And Rear. 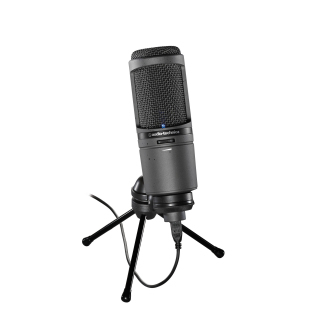 The Microphone Is Ideal For Live Performance, Podcasting, Home Studio Recording, Field Recording, And Voiceover Use.